We’re over the moon to be shortlisted at the 2017 Construction Marketing Awards for our work with JCB. The awards, supported by The Chartered Institute of Marketing, showcase the construction industry’s creativity, innovation, and effectiveness in marketing. We won best Social Media Campaign at the awards in 2015 for Bechtel’s Engineering Machine along with Best Branding and Positioning for our work with Reynaers. 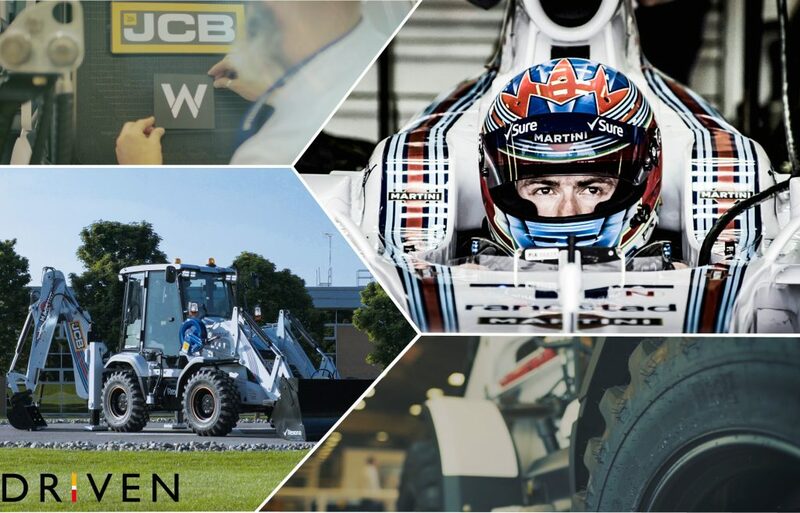 The JCB campaign targeted F1 and JCB fans with a one-off 3CX Compact Backhoe Loader wrapped in Williams Martini Racing’s iconic livery. With film, photos and user-generated content, the campaign told the story of the vehicle leaving the production line, heading to the Williams facility to get an incredible makeover, and then driving out to meet it’s public. When it debuted at Williams’ 40th Anniversary celebrations at Silverstone, fans flocked to get a photo with the digger and even Racing Royalty including Felipe Massa and Damon Hill were caught admiring it. The 3CX Compact was then spotted at the British Grand Prix at Silverstone, where it helped the Williams Hospitality team with the construction of the Williams motorhome in the F1 Paddock. Fans got an exclusive behind the scenes look at a time-critical construction challenge at a global event, with the 3CX lending a helping hand. Now, the branded machine is making appearances at construction equipment and motorsport events across the UK. It’s been the subject of hundreds of selfies across social media, and people love to spot the distinctive machine on its travels. JCB have been inundated with requests for the machine to appear at dealerships and regional shows. On a slightly deeper level, this campaign symbolises the engineering and innovation synergies between not only the Williams F1 Team and JCB but also the whole sport of F1. JCB’s mantra of ‘never content’ is epitomised with this activation. The campaign achieved a reach of over 1.25m across Facebook and Instagram, with films viewed over 600,000 times. Watch this space for the CMA results. JCB and WILLIAMS MARTINI RACING from iceni on Vimeo. JCB BGP Preparations from iceni on Vimeo. JCB WILLIAMS 40 YEAR FILM from iceni on Vimeo.